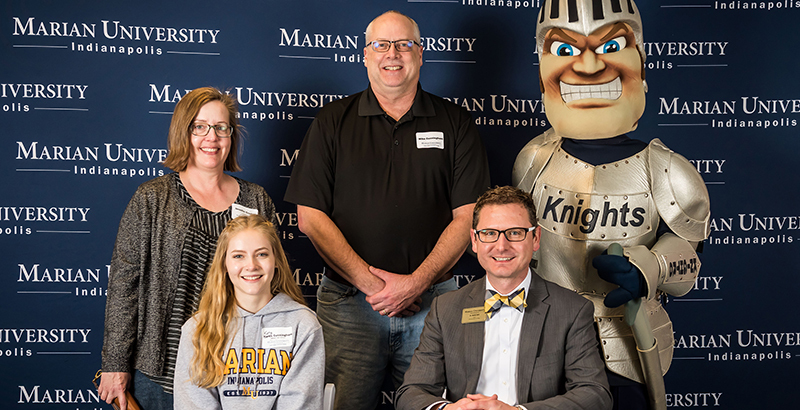 On a recent Friday, Kenith Britt joined a group of Marian University faculty members who were courting a student athlete over lunch. A young African-American man with a GPA of 3.99, the prospective student wanted to study engineering, like his father. As Britt was leaving, the coach who had arranged the lunch ran him down. He had made an impression. Would he come back and talk to the student in more depth? Boy, would he! A former teacher himself, Britt was part of a Marian team that created the new teachers college. After concluding that the university could do a better job of training educators to reach disadvantaged students, the group — which included Britt, the university president, and a state lawmaker with expertise in teacher training policy — spent a year researching international best practices from the countries with the highest-performing teachers. Then, two years ago, with the research complete, Marian shut down its traditional college of education and reopened as an innovative and ambitious program designed to graduate teachers with the skills and experience to make a difference in the classroom from day one. The athletic recruit was exactly the kind of student — an academic all-star from an underrepresented community — the new program was designed to attract. Fewer than 2 percent of U.S. teachers are black men, even though there is general agreement that children of color are much more likely to flourish in the classroom of a teacher who looks like them. In this self-perpetuating cycle, the lack of black and brown teachers is one reason students of color don’t consider becoming teachers — or view entering teaching as a way to interrupt racial and economic isolation. That’s one reason Britt doesn’t talk a lot about “teachers” when he visits high schools. Instead, he uses the word “educators” and focuses on their power to change their communities. A Franciscan university founded in 1937 as a teachers college, Marian has made a big bet that it can position its graduates to do just that. While colleges of education often have notoriously low entrance requirements, Marian raised the bar for admission to its new program, which confers both a bachelor’s and a master’s degree in a five-year regimen that includes a full year in a paid classroom residency. Despite, or perhaps because of, the more selective admissions process, enrollment has tripled — and with two classes now enrolled, 25 percent of the students are people of color, up from 7.5 percent in the old teacher-training program. A good deal of serendipity went into these tectonic shifts in such an unexpected place, starting with the fact that the university’s president has long been active in policy circles where teacher training and quality are top concerns. A former teacher, principal, and superintendent, Marian’s president, Daniel J. Elsener, spent 10 years on the state Board of Education and serves on the advisory board of Teach for America Indianapolis. Not only was he intimately familiar with the need; he had already lived through one risky big move. In 2013, Marian opened a brand-new medical school, virtually unheard of at a private university. After it was up and running, Elsener decided the university’s teacher training program was his next challenge. He reached out to Britt, who was already working at the university in another capacity, and to Bob Behning, a Republican lawmaker who has represented a swath of southwest Indianapolis in the state House of Representatives since 1992. Behning has played a key role in creating statewide policies that have pushed Indiana’s colleges of education to modernize, shepherding several bills aimed at overhauling how teachers are educated and licensed in Indiana — including one that required colleges of education to report data on their outcomes. Behning was also one of 26 lawmakers from around the country who participated in a National Conference of State Legislatures effort to examine successful teacher education practices in other nations. They called on the Washington, D.C.-based National Center on Education and the Economy and the international Organisation for Economic Co-operation and Development to identify countries with the highest-achieving schools. The elected officials broke into groups to make site visits, with Behning dropping in on teacher preparation programs in China, South Korea, and Canada. Other lawmakers visited Finland and Estonia, among other places, and interviewed past and present education ministers from Singapore and Switzerland. The research eventually was published as a report titled No Time to Lose. Many of the countries that are most successful at training teachers have relatively few colleges of education, and they are very selective about which students they admit. In some, learning to teach is graduate-level work undertaken only after the attainment of a degree in a subject area. Indiana, Behning notes by way of example, has 6.7 million residents and 46 teacher prep programs. Canada has 50 programs for 45 million residents. The legislators were wrapping up their work at the same time Elsener was putting Marian’s reboot into motion. The university president hired Behning and Britt, the future dean, to help lead the effort to design a new school. Now Marian’s director of external affairs, Behning tapped the expertise gathered by his fellow elected officials, in particular the best practices culled from other countries. Marian’s deep dive started with three premises, according to Britt: Teachers are the biggest in-school factor in differing student outcomes; in general, U.S. schools of education are clearly ineffective; and a new teacher prep model is needed. Marian may have had a critical mass of leaders who internalized the need for change, but shifts in Indiana policies were also highlighting gaps in teacher training statewide. Starting 10 years ago, legislation pushed by Behning and others, as well as changes sought by then-Superintendent Tony Bennett, put pressure on teachers colleges. In particular, a K-12 teacher evaluation mandate, the compilation of teacher evaluation results broken down by training program and the publication of each teachers college’s licensing exam pass rates threatened some revenue streams for these long-standing university cash cows. Marian, however, responded somewhat differently. By the time the international fact-finding was finished, said Britt, Marian’s leaders had come to several conclusions. The college needed to become selective, admitting students who had both talent and passion. In place of a few weeks of student-teaching at the end of training, the school needed to mix theory and practice from day one, with freshmen practicing their skills in mock digital classrooms before entering real ones. And university funds should pay to send every student to one of the countries where lawmakers saw best practices at work. “It’s not just a cultural experience but some additional tools in your toolkit,” Britt explained. Finally, any overhaul would wither or thrive based on its partnerships with the schools and districts Marian would ask to invest in its students during their residencies. It is a big ask: The new college of education requires partners to pay its fifth-year students for the year they spend in the classroom of a master teacher who has demonstrated skills in certain areas. The master teacher is compensated for participating, too. In the fall of 2016, Marian’s traditional teacher training program enrolled its last students. The following fall, after sports-style recruiting visits to 650 kids in 50 high schools — “We go in to recruit like we would for football players,” says Britt — the new college launched. Before Marian leaders set foot inside a high school, they ask guidance counselors to help generate excitement about the visit. They explain that they are looking for talented students and kids who have expressed interest in education. During their high school visits, Britt and Marian’s recruiter talk about social change and the need for educators who come from the communities where the children with the biggest needs are from. They arrange campus tours for interested prospects. So far, the selectivity seems to be working. The old program typically enrolled 30 students a year with an average GPA of 3.1, according to Britt. Marian’s hope for the new program was to build to 50 students with average high school GPAs of 3.5. This year’s freshman class of 88 had an average GPA of 3.7. Many of the low-income students have been able to use state scholarship funds set up to address a shortage of teachers in some subject areas. Going forward, Marian hopes to graduate all its new teachers debt-free. The goal is to eventually admit 100 to 120 students a year, with the understanding that not all will last the full five years. 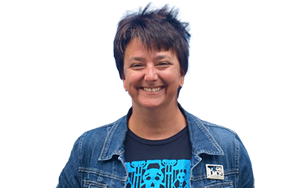 Marian plans to find ways to steer students who aren’t succeeding as teacher candidates but are eager to create social change into different majors. There have been hurdles. The first: convincing schools and districts that used to get free student teachers to find $32,000 per candidate — a feat that Britt estimates takes 10 meetings to accomplish. Marian has solidified partnerships with eight suburban Indianapolis districts, private schools, and public charter schools. Another seven are in the works. Another issue has been finding faculty for the college’s expansion who embrace the built-in accountability aspect, he said. One source of new hires who are comfortable with the reliance on data has been private K-12 schools, where, he noted, teachers understand that family satisfaction makes or breaks the budget. When Britt calls on potential funders, he sounds a lot like he does when he’s visiting a high school. To him, education’s transformative potential is personal. He grew up in a public housing project in a small town outside Pittsburgh, and his single mother relied on welfare. “I knew I wanted to change the lives of students like me,” he said, so he became a teacher.